Shareplay capado en Alemania. Solo funciona entre Alemanes. Si eres Alemán solo puedes usar shareplay con otro alemán. Vaya putada capada! If you happen to live in Germany and would like to try the new PS4 feature; Share Play, you can only invite or be invited by other Germans. 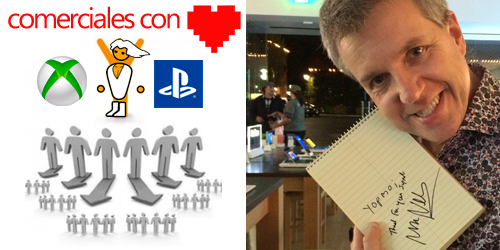 This particular detail was not known when we Sony talked about the service recently. It has however been discovered by Redditor Alkanida when he received an invitation from his friend in the UK to try out FIFA 15. As you can see, the message indicates that the feature can only be used in certain countries. Which in this case is only from users in Germany. The PlayStation FAQ website reveals even more details (via NeoGAF). Besides confirming the above detail, the FAQ adds that any German user getting invited to a game has to put in their ID number if the game is rated 16+ or higher. Furthermore, a user cannot be invited to play a game that’s not available in their region’s PSN store. 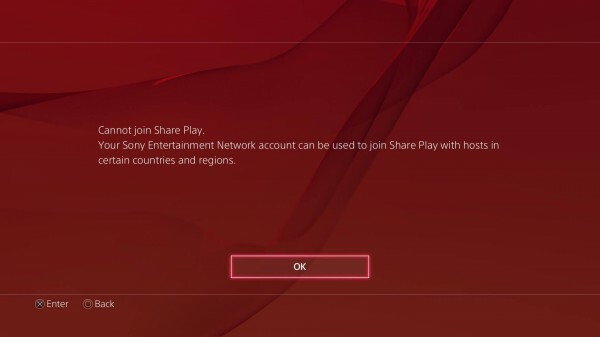 • German PSN account holders can only use Share Play with other German PSN account holders. • The visitor is required to input a German ID number before joining host’s Share Play session if the game is 16+. Además, tienes que presentar el certificado de raza aria. Editado por victor861, 04 noviembre 2014 - 14:14 . Mientras no nos lo hayan capado a todos los europeos me parece perfecto. ¿Te dedicas al sector del videojuego y buscas trabajo? ¡Buscamos gente para un proyecto! Dichoso pais y sus normas absurdas..dios..
Están compitiendo con los americanos desde hace un tiempo por ver quiénes son los más etnocentristas. No querran que se les conecta algun barcenas de estos que estan por ahi aun libres y les robe lo que tengan en la cuenta... me parece buena medida de seguridad.